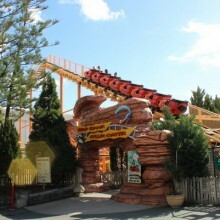 Home > Gold Coast For Kids > Is Movie World on the Gold Coast a Great Theme Park for Toddlers- YES! 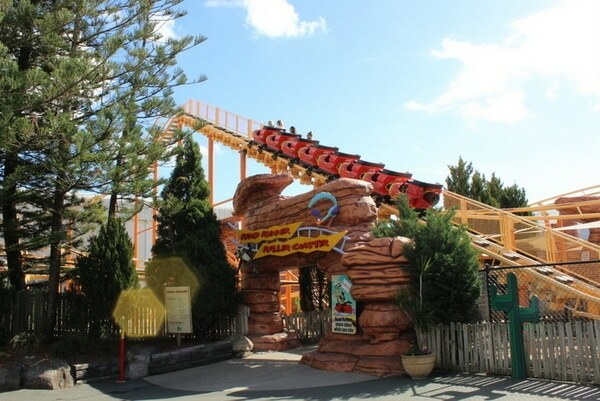 Is Movie World on the Gold Coast a Great Theme Park for Toddlers- YES! 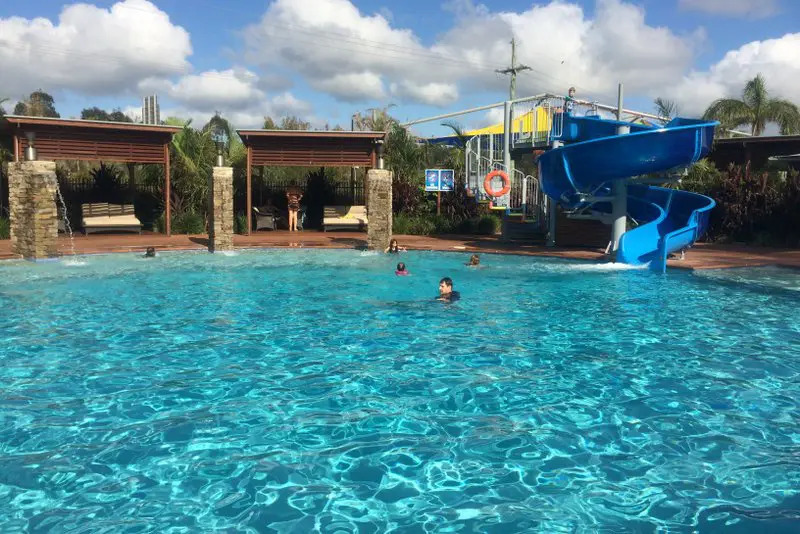 When it comes to theme parks to visit in Queensland with your toddler, it’s easy to assume that there’s not much on offer for toddler and pre-school aged children, but Movie World is there to prove you wrong! 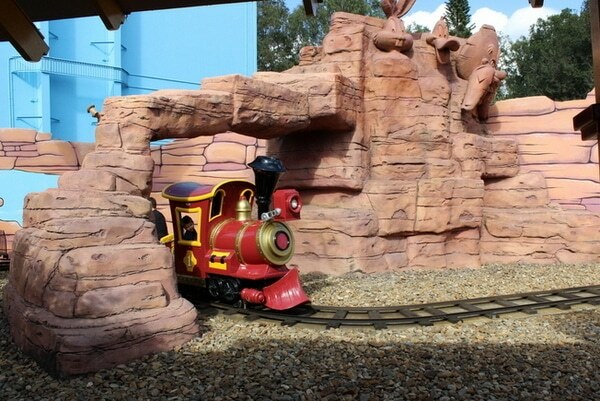 There is just so much at Movie World to entertain toddlers—in fact, there is an entire section dedicated to younger children and families! The Kids’ WB! 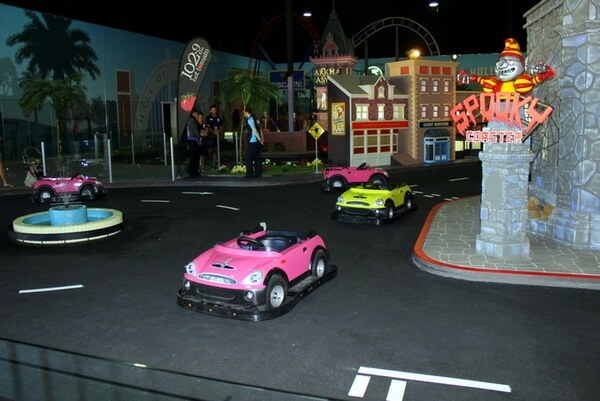 Fun Zone has been designed with family fun in mind. 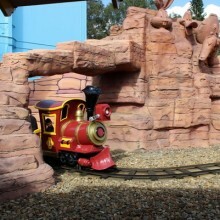 It features several rides and attractions that are suitable for younger kids, including a Carousel, Tweety Cages, the Sam Train, Speedy’s Taxis and the Pounce & Bounce. 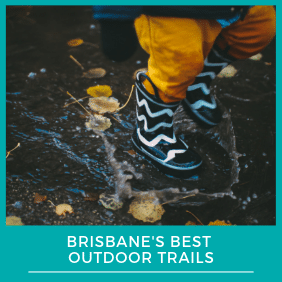 A large shady tree sits in the centre of this area, with several tables and chairs situated underneath and throughout the Kids’ WB! 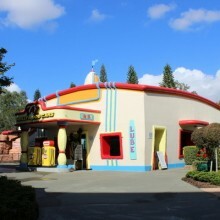 Fun Zone for families to take a break and refuel. 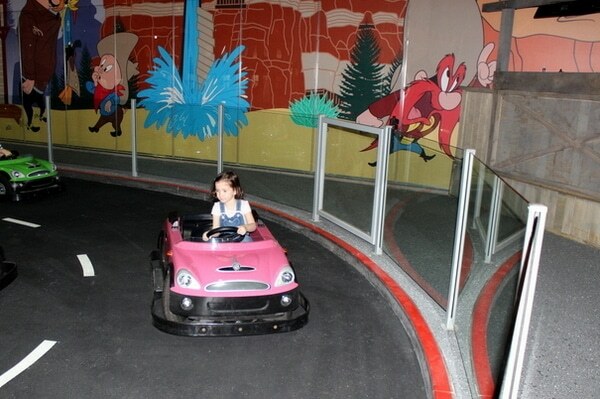 • No bumping into other cars (they’re not dodgems!) • No overtaking other cars • Raise your arm in the air if you need help • Walk at all times – never run • Wait for the buzzer • Have FUN!!! 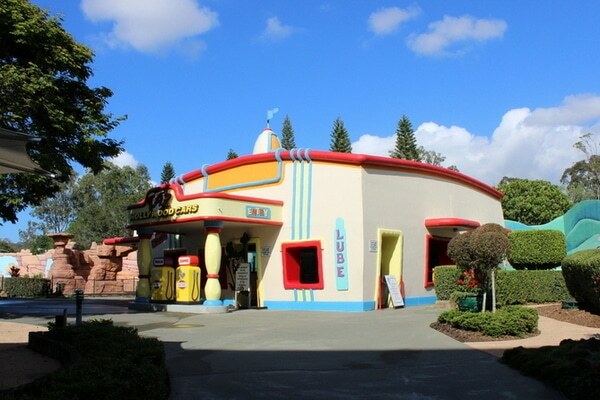 The high level of service and friendliness throughout the whole Movie World theme park is impressive, particularly in the Kids’ WB! Fun Zone. 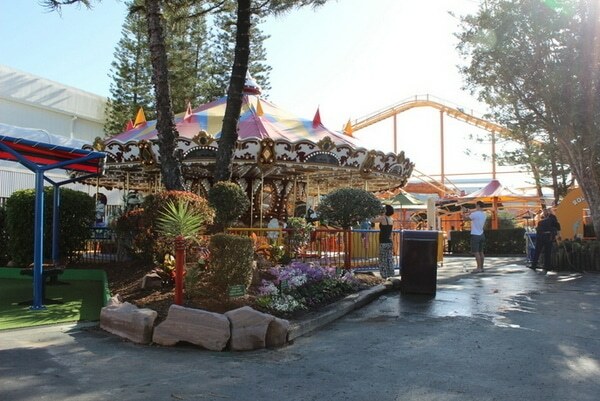 Very importantly, all attractions are operated by attentive staff who have complete control over starting and finishing the ride. 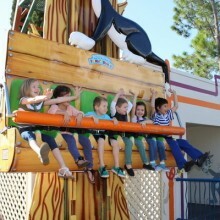 For parents concerned about their children possibly being scared on any of the rides, this is a BIG plus! 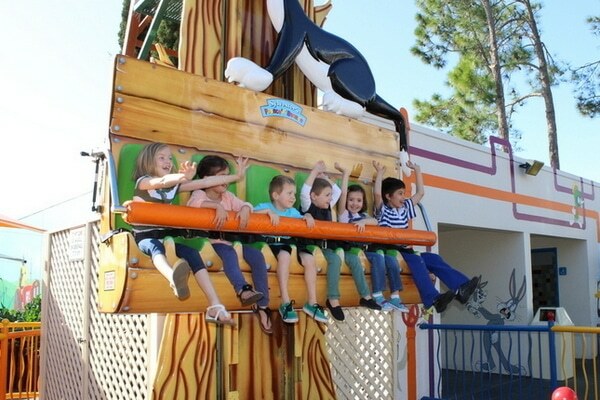 It means that the rides can and will be slowed down or even stopped in the event that any child becomes distressed. 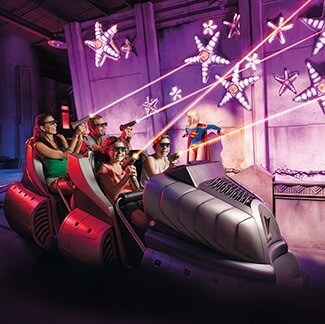 Movie World’s setting is quite level and spacious, making it extremely accessible for prams and wheelchairs. 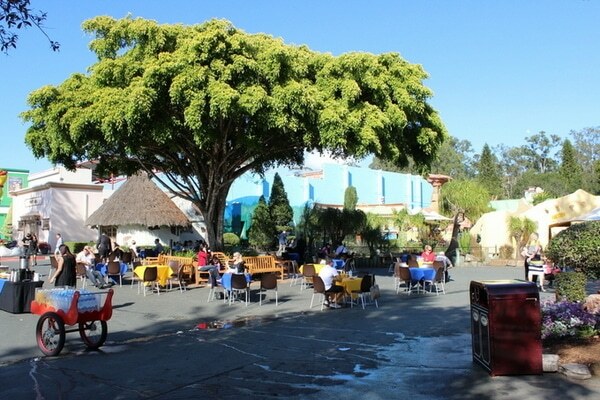 There are a multitude of food options to suit every budget and lots of tables and chairs sheltered by umbrellas throughout the park. 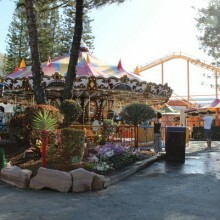 You are not permitted to bring your own food into the theme park, however exceptions are made for babies and infants, as well for those with food allergies. 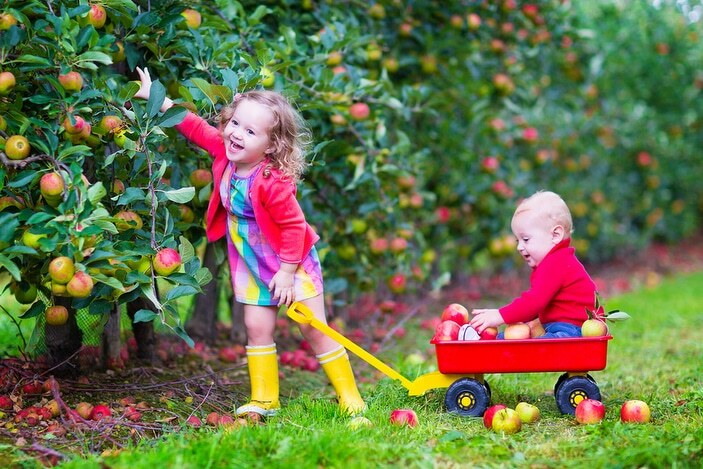 Fruit and bottled water can be brought in with you. 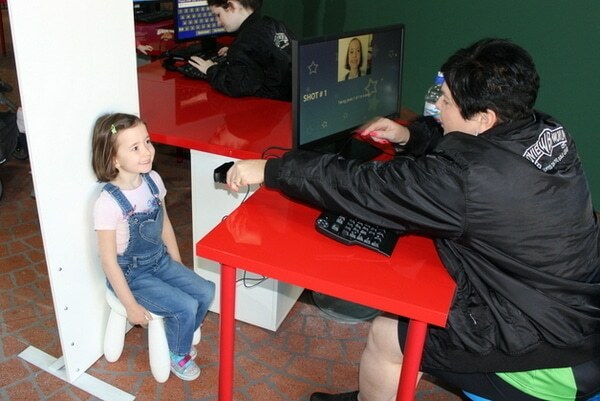 Wheelchair accessible toilet facilities are plentiful, conveniently located and incredibly clean.